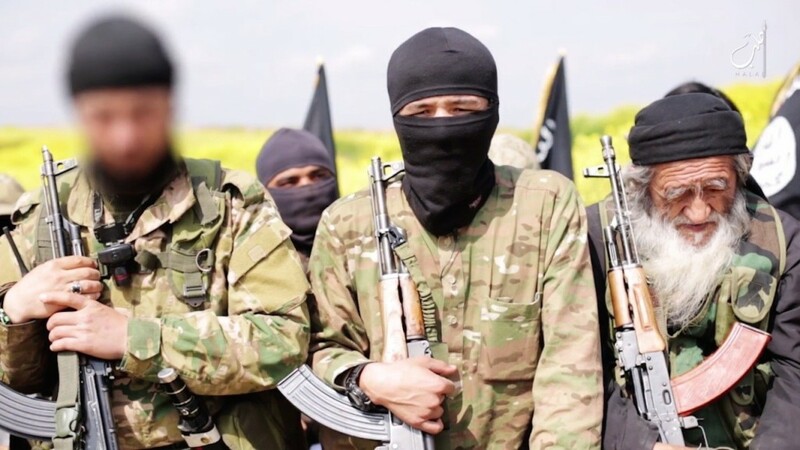 THE LEVANT – by Palestinian BDS National Committee – Israel’s regime of occupation, settler-colonialism and apartheid is once again committing heinous massacres on the Palestinian people in Gaza. There are dozens of companies that play an active and ongoing role in facilitating Israeli apartheid. In light of the exceptionally bloody massacres Israel is currently committing in Gaza, the Palestinian BDS National Committee (BNC) suggests to BDS activists and every conscientious person and organization around the world to target the following 7 companies as a matter of urgency. 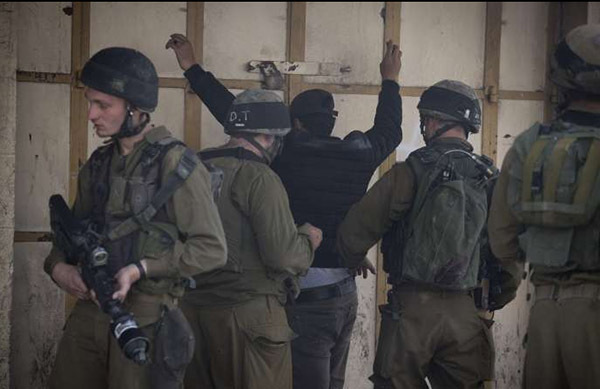 IT company Hewlett Packard is involved in various Israeli violations of international law through providing the Israeli occupation forces with a vast range of IT services and infrastructure solutions. This includes the operation of an ID system installed in Israeli military checkpoints in the occupied West Bank and Gaza, and the administration of the IT system of the Israeli Navy that enforces the naval blockade of Gaza and that is deeply involved in committing war crimes in the ongoing aggression on Gaza. By providing such significant support to the Israeli military, HP is an active accomplice to Israel’s siege on Gaza. That’s why the Presbyterian Church USA and the Quaker Friends Fiduciary Corporation (FFC) have divested from the company. – Boycott HP consumer products. Don’t buy HP laptops, printers or ink cartridges! 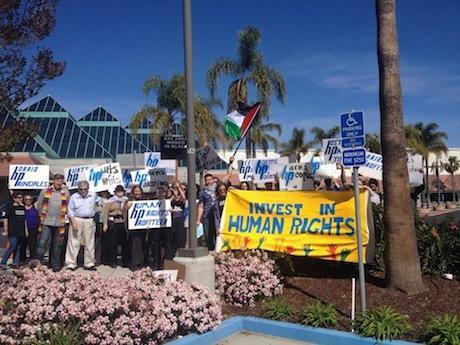 – Campaign for divestment from HP and for the company to be excluded from public contracts. Get in touch for ideas on how to get started. Caterpillar bulldozers are regularly used in the demolition of Palestinian homes and farms, and the Israeli army has used unmanned Caterpillar bulldozers in the 2008-09 attacks in Gaza. 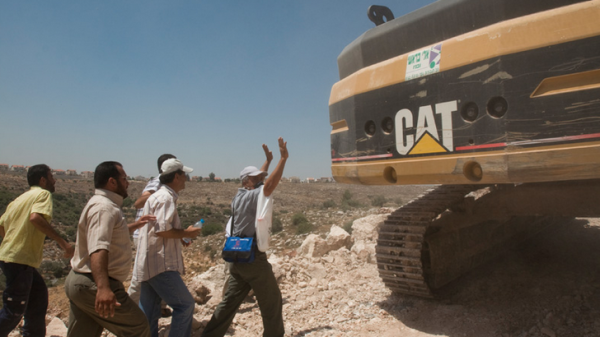 A CAT bulldozer was also used by Israel in killing US activist Rachel Corrie in Rafah in 2003. The Presbyterian Church USA, the Quaker Friends Fiduciary Corporation (FFC) and the Church of England have all divested from Caterpillar. – Boycott Caterpillar consumer products such as shoes, bags and tools! – Campaign for divestment from Caterpillar. Get in touch for ideas on how to get started. While not directly implicated in Israel’s on-going attack in Gaza, home drink carbonation machines produced by SodaStream are one of Israel’s most visible and widely advertised exports. Tax revenue from SodaStream sales help to fund Israel’s attack on Gaza. SodaStream operates in the illegal Israeli settlement of Maale Adumim in the occupied West Bank, and the company’s plan to open a factory inside Israel beside Rahat, a planned Palestinian Bedouin township in the Naqab (Negev) desert, amounts to participation in Israel’s plans to forcibly displace at least 40,000 Palestinian Bedouins into townships. John Lewis in the UK recently became the latest retailer to stop stocking SodaStream products and protests forced a SodaStream store in Brighton, UK, to close recently. The company’s share price has fallen by 50% in the past year, especially since a scandal over actor Scarlett Johansson’s association with the brand. – Boycott all SodaStream products and call on retailers not to stock them! 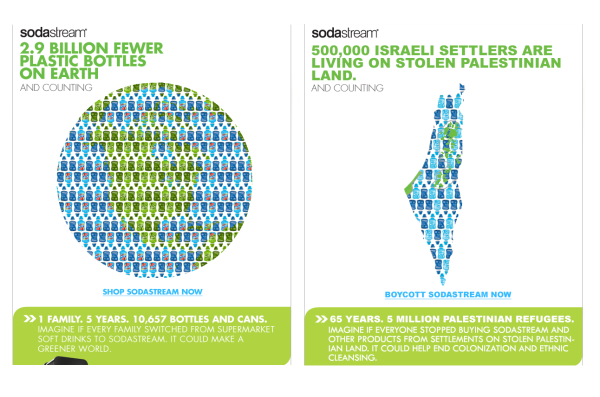 – Organise a demonstration or flashmob at a retailer near you that sells SodaStream products. Check out Codepink’s action guide for ideas. Elbit Systems is Israel’s largest military company. It provides a wide range of equipment and services to the Israeli military, including surveillance equipment used in Israel’s illegal Wall and unmanned aerial vehicles (UAVs), known as drones. 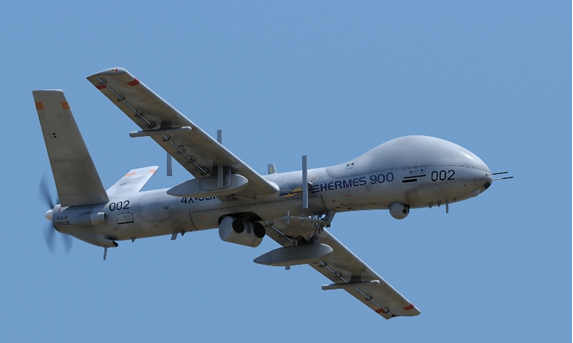 Elbit Systems armed drones are widely used by the Israeli military and were documented as being used in attacks on unarmed civilians during the 2008-09 assault on Gaza. According to Palestinian human rights organization Al Mezan Center, armed drones killed more than 1,000 Palestinians in Gaza in the period 2000-2010. Palestinian and international human rights organisations have reported numerous attacks on Palestinians by drones during the current attack on Gaza. Elbit Systems markets its drone technology across the world as ‘field tested’. Countries that have procured UAVs from Elbit include Australia, Canada, Croatia, France, Georgia, Mexico, Singapore, Sweden, the UK, Brazil and USA. The Norwegian sovereign wealth fund and more than a dozen European banks have divested from Elbit Systems. Israel’s private banks provide the financial infrastructure for all activities of companies, military bodies, governmental agencies and individuals in the continuing occupation of Palestinian and Syrian territory and provide significant financing to the construction of illegal Israeli settlements and the on-going colonisation of Palestinian land. Israeli banks have severed their contractual connections with the Palestinian banks in Gaza and stopped providing any and all services to them. Given the way in which the Palestinian economy is dominated by and dependent on the Israeli economy, this had a devastating impact on the local Gazan economy. A number of European pension funds including Dutch pension giant PGGM, the Luxembourg sovereign wealth fund and Denmark’s biggest bank Danske Bank have already divested from Israeli banks. – Campaign for your own pension fund or any institution you are a part of to divest from Israeli banks. Get in touch for ideas on how to get started. G4S is a British security company that provides a wide range of equipment and services to the Israeli government and military including to Israeli checkpoints and to prisons where Palestinians, including many children, are held without trial and subjected to torture. G4S provides equipment used in Israeli-run checkpoints at the Erez crossing between occupied Gaza and Israel, thereby directly assisting Israel’s siege on Gaza. The international campaign against G4S has cost the company millions of dollars in contracts with universities, charities and other public bodies and has seen the Bill Gates Foundation, the United Methodist Church and others divest from the company. In response, G4S has recently claimed that it will end some aspects of its role in Israeli apartheid and has stated it intends to end its role in Israel’s prisons by 2017, yet the campaign against the company must continue until its complicity in Israeli apartheid verifiably comes to a complete end. – Campaign for your G4S to be excluded from public contracts. Get in touch for ideas on how to get started. 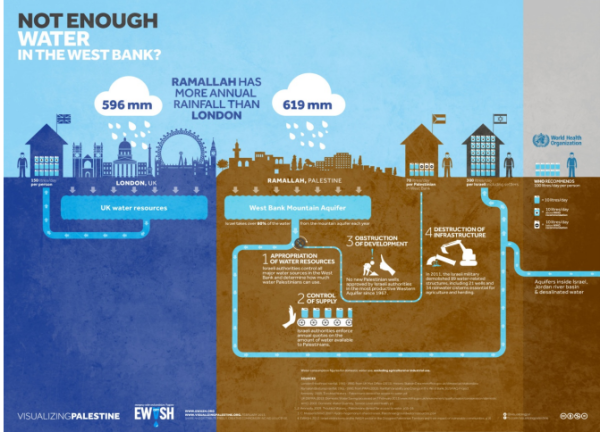 Mekorot is Israel’s national water company and illegally appropriates Palestinian water, diverting it to illegal Israeli settlements and towns inside Israel, and imposes severe obstacles to Palestinians accessing their own water. Mekorot is part of the Israeli occupation complex that denies Palestinians access to their fair share of aquifers that should be shared between Israel and Gaza. Palestinian and international organisations in Gaza are warning that Gaza’s water crisis is being rapidly escalated by the on-going assault on Gaza. Mekorot is now seeking to export its discriminatory water practises and is bidding to take over water supplies all across the world as they are being privatised. Authorities in Argentina, Netherlands and Portugal have cancelled cooperation deals with Mekorot following BDS pressure.